Surviving a severe burn is just the beginning of living your life after a burn accident. Especially when the burn scars cover a portion of the face, it can distort your appearance and even affect the function of your eyes, nose, mouth or facial muscles. For many burn victims, the expertise of a qualified facial plastic surgeon can help restore function as well as reduce the appearance of scars. It is the final step to recovery and moving on with your life after a burn accident. 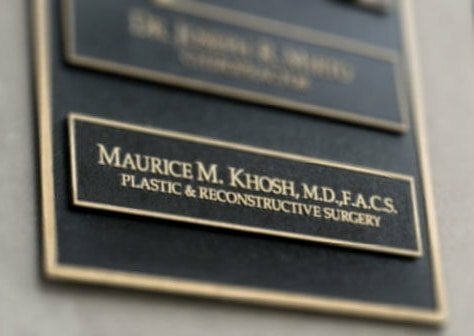 Dr. Maurice Khosh is a highly recognized facial plastic surgeon, specializing in facial reconstructive surgery, including burn scar treatment. 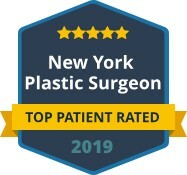 He is dual board certified with extensive experience in the most advanced techniques in reconstructive surgeries that reform features and reduce the appearance of burn scars. Every burn victim has different issues that may need to be resolved, requiring a customized treatment plan. Some patients only have surface burn scars that can be treated through skin grafting, resurfacing or laser techniques. However, those with deeper structural damage to their facial features may need more intricate reconstructive surgery, including rhinoplasty, lip reconstruction, ear reconstruction and eyelid surgery. Dr. Khosh can devise a burn scar treatment plan to address all these types of issues and work with you to give you back your beautiful, balanced face. 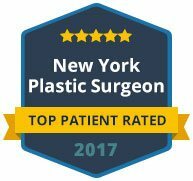 For a private consultation to begin your journey to treat your burn scars, contact the office of Dr. Maurice Khosh in Manhattan today for a consultation.